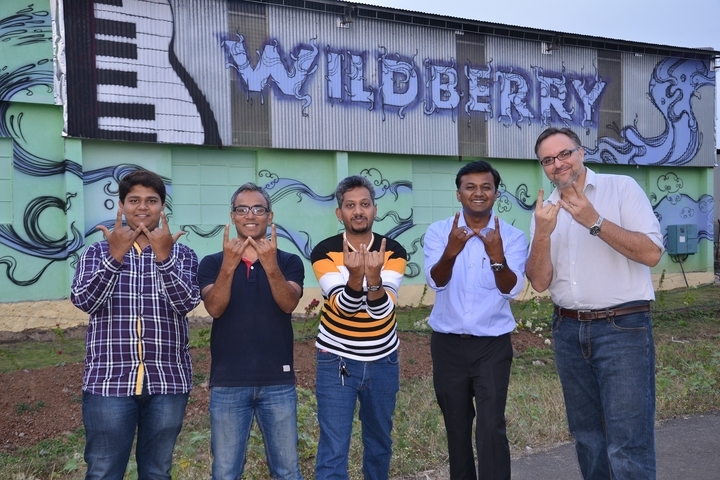 Wildberry Fruit Wines of Wai, India - Quality First! Fruit wine is alive and well in India! It has certainly been a while since my last post. 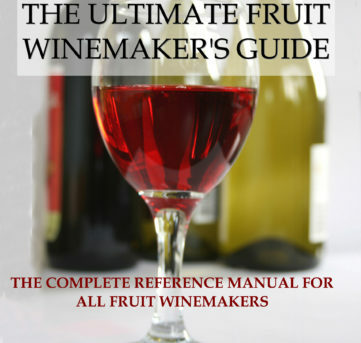 I promise to get back into the swing of things with regards to all things “fruit wine”! The last six months have been very busy. There are a lot of new and exciting fruit wine and cider projects going on all over the world and that is great news for fruit wine lovers. I have a lot of great fruit wine and cider stories and great information to share with you in future posts. 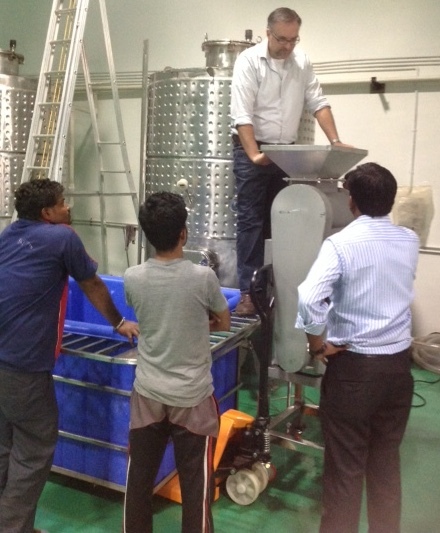 Recently, I was in Wai, Maharashtra, India to help make strawberry wine at the state of the art Wildberry Winery. The winery is owned by two entrepreneurs, Mr. Sagar Parkhe and Satuavan Shewale. Over the last few years, they have built their dream to establish one of the first fruit wineries in India and pride themselves to be makers of 100% pure fruit wine. They are committed to quality and I must say, the quality of fruit in the Wai area is top notch and rivals the quality of fruit I have found in many other parts of the world. The area itself has two main crops, one being sugar cane and the other strawberries. Getting ready to crush strawberries! The wines being made will be “ultra-premium” as far as fruit wine goes and is destined for the 5-star resorts of the Mahabaleshawar region, known to be the playground of the well to do of Mumbai and Pune. Their wines will also be available in the finer wine shops of the state of Maharashtra. Sagar and Satuavan are sure to do very well with their strawberry wine venture as their commitment to quality is very evident and their marketing skills, second to none. I certainly enjoyed assisting them with their winemaking and I look forward being back in the exciting and quickly growing Indian wine industry. Indian fruit wine lovers, watch out for Wildberry Fruit Wines! I am betel leaf farmer. I want to Know can wine manufactured from Betel leaf. I search from goggle Betel vine available in some country. We have plenty of betel leaf. Please like flavor of betel leaf. Firstly congratulations guys proud to be a waikar Its a very good project.Request to you start your official page on social media like facebook..!!!!!!!!!!!! Congratulations, guys to make wai a strawberry wine capital of India and also keep growing. Feeling to be proud waikar. i am study for wine tech. in ahemdnagar.Firstly congratulations guys proud to be a waikar Its a very good project. i make for strawberry wine in final project. i cheack antioxidant& antidibetic assay. i am proud of you own winery. Yes, you would need to chaptilize with sugar before you inoculate with yeast.You need 167g of sugar per litre to get to about 11% potential alcohol. Hi i like your wines. how about packing them in Tetra Pak Cartons? that will be so unique & convenient.